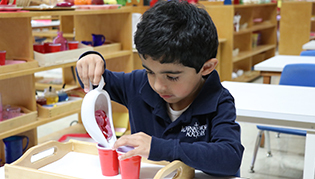 The IWA Elementary Level - Montessori program encourages a child's natural curiosity and instills a life-long love of learning. It provides an environment that teaches respect, compassion, and responsibility for each other and for the environment. 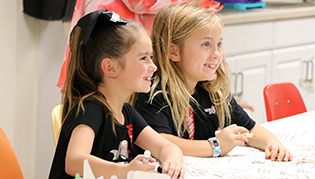 Students in grades 1-5 will participate in S.T.E.M. classes. S.T.E.M. classes integrate science, technology, engineering, and math through hands-on lessons designed to teach critical thinking and reasoning skills. These types of lessons enhance student collaboration, creativity, and communication skills while empowering our students for the future. 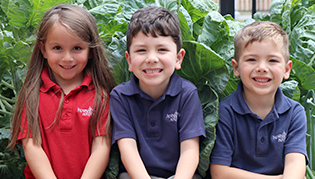 As a leading college preparatory school in South Texas, IWA starts at the Elementary Level in preparing for rigorous academic expectations. 7:55 a.m. - 3:15 p.m.
7:55 a.m. - 3:30 p.m. The YMCA provides after school care for any student for a monthly fee. Parents may register their child in the YMCA After School Program during Angel Check-In. After school care is provided from 3:00-6:00 p.m. in the Elementary Level - Traditional building. After school care is provided by the YMCA. Spaces are limited and managed through that organization. For additional information regarding the after school care program, please contact Audrey Dumes at adumes@ymca-cc.org or 361-882-1741.